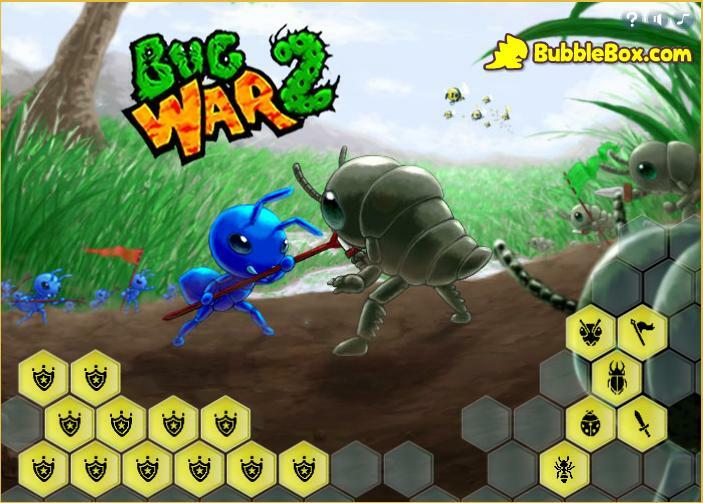 Bug War 2 is a second release (duh!) for the Bug War title by Bubblebox.com. It’s one of those strategy games where you or your minions occupy a tower at the start of the game and you have to overrun enemies by occupying all of their towers. There are 2 types of towers in the whole game, the Spawn tower which can produce bugs every second and there’s the Cannon tower that can fire cannon balls at incoming attacking bugs but can’t create bugs. Both towers can hold unlimited number of bugs. There are 13 levels in the game and after finishing a level you’ll get a rating of 1-5 stars depending on how well you do for that level. 5 stars is the maximum number of stars you can get in a game and it’s very important you get all 5 stars for every level if you want to complete the trophies. This game encourages replay by offering trophies and other races of bugs. At the start, you’ll see that there are 3 options for races of bugs: Agile, Fast or Strong – but you can only choose Agile type of bugs if you’re playing the game for the first time. Fast and Strong bugs can be unlocked after finishing the game using the Agile Race. Also, there are 12 trophies or achievements you can complete while playing the game which are all fairly easy to get. 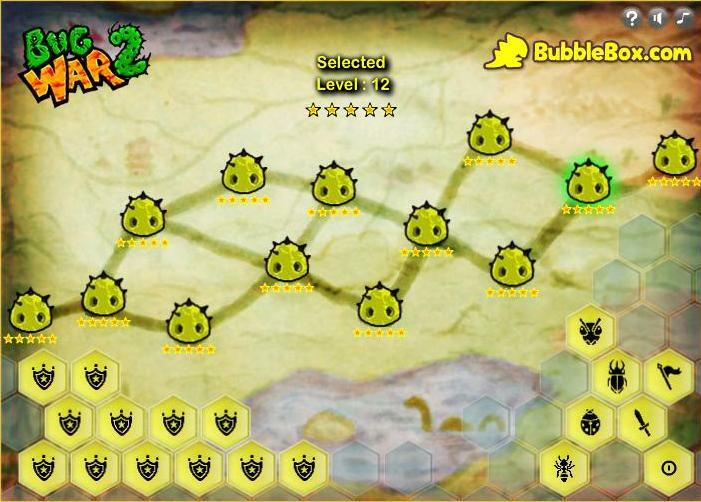 The key to get all 5 stars in each level is speed and to some extent, not losing any spawn over to the enemies. Here's when all levels are played and have 5 stars rating each plus all the trophies completed. To finish the game really quick, you should attack the enemy straight on. Don’t bother occupying the nearby towers if they’re not leading the shortest path to your enemy’s tower/s. Better if you capture another spawn tower at the start of the game for higher levels so that you can produce more bugs per second, but for lower levels, if the nearest tower is a Cannon tower, then go ahead and occupy it right away. Here's finishing level 1 in 11 seconds and 1 spawn lost, still got 5 stars. The lower levels are more forgiving in terms of losing spawns to the enemies. 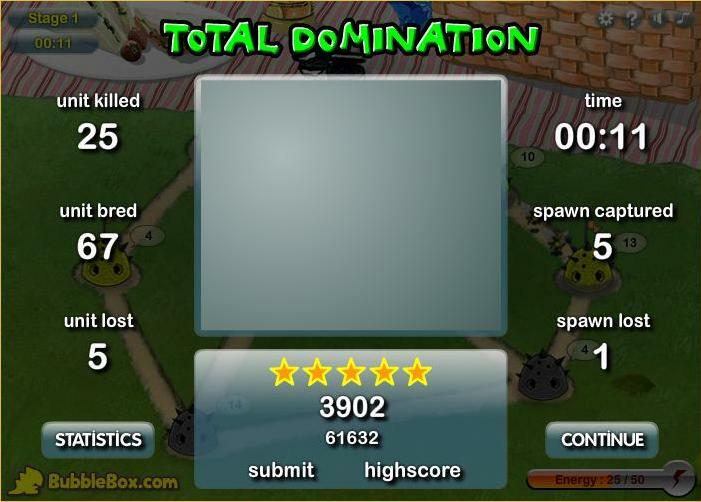 As long as you finish the level really fast, even if you lose a couple of spawns or towers, you’ll still get 5 stars. But for the higher levels, 10 and up, you’ll need to secure the spawns/towers you occupy by concentrating on putting bugs until you get to have 30 or so bugs in the tower, a comfortable number that you know can’t easily be overrun by the enemies. I love this type of strategy game because it does get you to think of strategies per level because some levels can prove to be challenging if you make a wrong move for the first few clicks. But I think the game is a little too easy and the trophies, aside from being easy to get, aren’t at all that rewarding (well, maybe it’s because they’re easy to complete so that’s why there’s no ‘feeling of satisfaction’). I like the art and the levels but after completing the whole game, I won’t bother to play the levels again unless it’s to complete the trophy set. I’ve played a lot of other games like this that really have more replay value. I wish there were more levels that are more challenging and more trophies or achievements to complete. 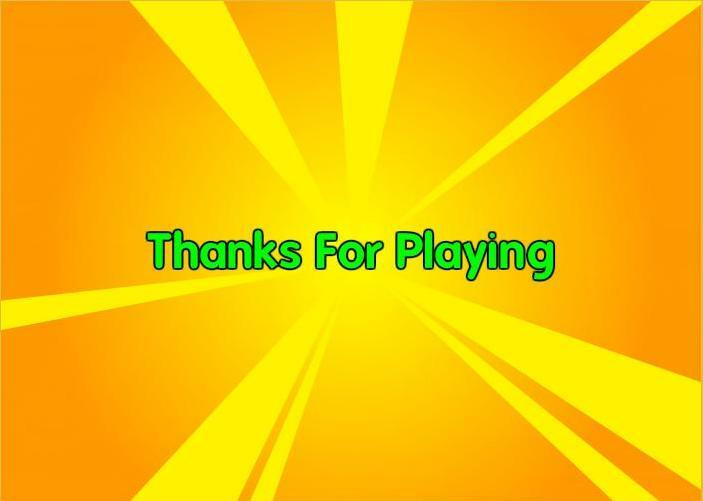 The end of credits - after you finish level 13 'aka' "The Final Level"
This entry was posted in Reviews, Strategy, Tips and tagged bubblebox, bug war, bug war 2, bugwar, bugwar2, free games, game, high score, online, play, points, strategy, strategy game, tip, tips, top score. Bookmark the permalink.